yesterday I went to Spin City Cycles in Decatur for their Open House - it wasn't just a big "sale" (although I did walk out with a pearl izumi back jacket and a pair of tri-shorts for less than $100!) - they had FOOD, group rides with demo powertaps, rides and talks with the ZIPP guys, Demo bikes from Scott, pedals from Speedplay, and Nutrition product from 1st Endurance. Shimano is brought a Di2 electric bike. Mavic brought some wheels. Felt is brought cool stuff. Pro mountain biker Eric Pirtle signed autographs. 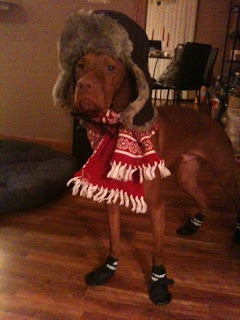 and I won't make him wear THESE to go running in! !